When you paint over mold, it keeps growing under the paint. Eventually the paint will peel off. Do not try at-home solutions for your mold issues—call KIC Restoration now. Whether it is a home or business, maintaining a building presents a number of challenges. However, it is usually not the routine repairs that will put a person in a financial rut, but the unexpected occurrences that require expert knowledge. 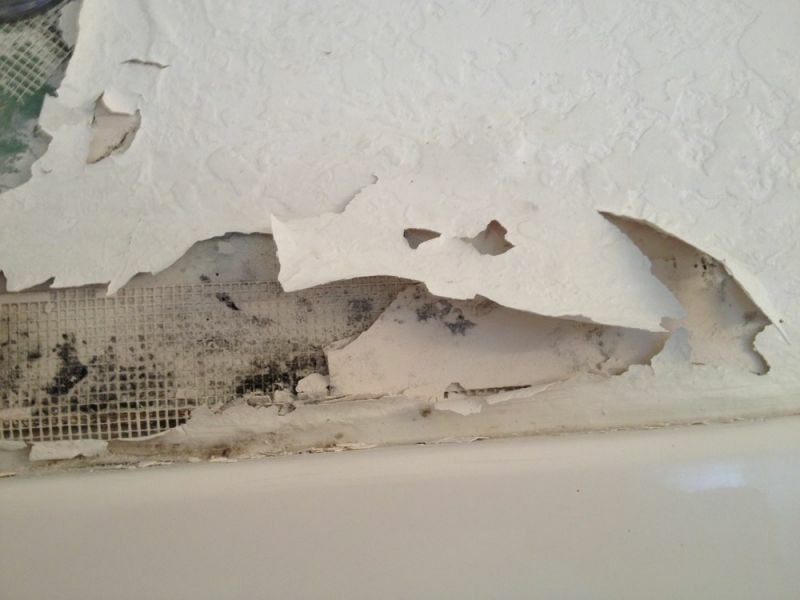 Mold removal is an example of such a problem. It is one of the most costly services for a number of reasons. Its causes are usually unexpected, fast treatment is imperative, and do-it-yourself gurus overlook small steps that can become big problems in the long-run. When it comes to mold removal, every case is different and it is important to seek a professional assessment. KIC Restoration employs a group of well-trained, professional technicians that specialize in mold inspection services and removal in San Diego County. KIC Restoration uses state-of-the-art Goldmorr products that make the job fast and cost-efficient. Most of these products are not available on the open market. The technicians are IICRC Certified, which is one of the most important credentials in distinguishing an expert from contractors who have a limited knowledge of mold removal services. The carefully executed strategy that KIC Restoration uses to assess mold outbreaks is what sets our service apart from competitors. IICRC Certified Technicians excel at finding the best solution by identifying the cause and characteristics of a mold outbreak. Water damage is almost always the root cause and can be a product of leaking pipes or flooding. But knowing the cause is only a small part of a home mold inspection. Moisture analysis reporting is required before and after treatment. Contaminated structures must be inspected for replacement. Barriers and chemical application may be required to prevent the mold from spreading. However, laboratory testing is a key step to designing a strategy to combat the problem. Home mold tests just do not cut it. They just are not accurate enough and do not provide all of the information necessary for mold treatment, such as the fungus strain and density. Lab testing not only ensures the best results, but it also complements KIC Restoration’s philosophy of business transparency. Most contractors will perform their own mold analysis, but their personal agenda prefers that mold be present to gain more business. Third party lab testing prevents a biased report and enhances the credibility of the mold inspection services.